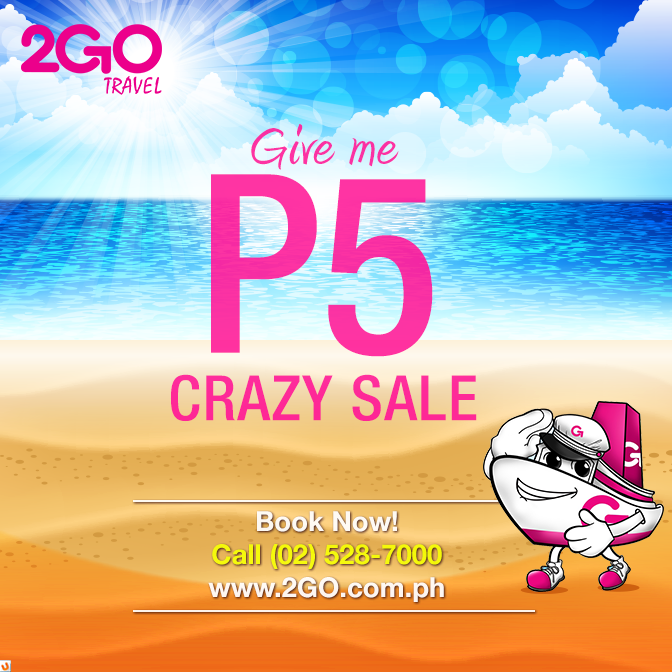 2go Travel Promo at P5 only! Superferry/2go Travel Promo Fare- Ang saya maglakbay for just 5 pesos! Grab our Give me P5 promo until July 19. Limited slots only so book now!